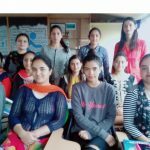 Mantram Nursing Academy: A Premier Nursing Coaching Institute in Chandigarh for Nursing Entrance Exams, Staff Nurse/Nursing Officer Exams, Oet and Nclex. 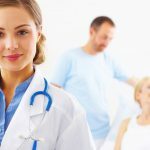 Are you nurturing dreams of a successful career for yourself in Nursing-healthcare sector? Stuck at the crossroad of judgment, confused and undecided? Throw your worries to the winds! 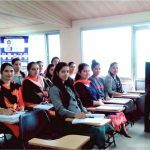 Just walk in with “Mantram Nursing Academy in Chandigarh” A star Coaching Institute for Government Staff Nurse/Nursing Officer Recruitment Exams, Nursing Entrance Exam of B.Sc., Post-Basic, M.Sc., MNS (Military Nursing Services), OET-Nurses (Occupational English Test), Nclex and let your cherished dreams come true. We, at Mantram Nursing Academy, do take care of yourselves and are committed to get rid of your unfounded worries. We stand for academic excellence and holistic growth of the students. PGIMER-Chandigarh (Post Graduate Institute of Medical Education and Research). GMCH 32 Chandigarh (Government Medical College and Hospital). AIIMS (All India Institute Medical Sciences). JIPMER-Puducherry (Jawaharlal Institute of Postgraduate Medical Education and Research). BFUHS Faridkot (Baba Farid University of Health Sciences). 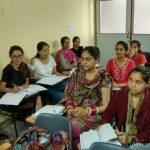 DMC-Ludhiana (Dayanand Medical College & Hospital). IGMC-Shimla (Indira Gandhi Medical College). SGPGI-Lucknow (Sanjay Gandhi Postgraduate Institute of Medical Sciences). HNBUMU-Dehradun-Uttarakhand (Hemwati Nandan Bahuguna Uttarakhand Medical Education University). Teachers are co-operative.Good study material.Teaching hours and duration of course is satisfactory. Infrastructure is also good. In Mantram it was very good experience to learn.Teachers are very good, they have very good knowledge regarding competitive exams.They gave us very good tips regarding exams.Regular exams are conducted here. It is very good. Thank you Mantram Nursing Institute. Mantram Institute provides us knowledge and wisdom. The teaching methodology is good which helps the students to grasp the method for solving questions. 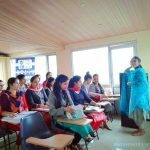 Teachers are understanding and helping.I am going through a good experience in Mantram, teachers are very co-operative and providing indepth knowledge regarding each topic. I am quiet satisfied with faculty. Always wish God Shower his blessing on Mantram Institute and give success. Sound teaching system was provided by the faculty of Mantram Study Group for Staff Nurse Coaching. Thorough understanding and conceptual based teaching and learning. I would recommend Mantram Study Group for Staff Nurse Coaching to students seeking it. 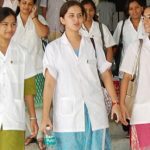 Mantram is good coaching centre in Chandigarh for Nursing Recruitment Exams. From all other institute, I found this coaching center better as all teachers are very good and working hard to give us the proper guidance at the competitive level. I want to thank to all the faculty members of Mantram Nursing Institute for teaching us well. Study material is good which cover all the topics for clearing Staff Nurse Recruitment Exam.Teachers are very good and supportive, they have good knowledge of their subjects.This institute gave me the confidence to compete in any Staff Nurse Recruitment Exam in future.